Don’t miss the timeless musical that has captured the hearts of those both young and old since 1959! 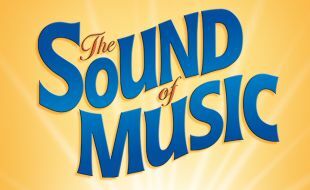 The musical “must-see” of 2018, The Sound of Music returns to the Montecasino stage in April 2018 to delight fans both young and old. Starring Andre Schwartz as Captain von Trapp and Carmen Pretorius as Maria, this lavish production includes an all-star South African cast, magnificent sets and costumes, and unforgettable performances of “My Favourite Things”, “Edelweiss”, “Do-Re-Mi”, “Sixteen Going on Seventeen”, “The Lonely Goatherd”, and “Climb Ev’ry Mountain. Maria, a well-loved but troubled nun is given leave from the Abbey to act as a governess to Captain Von Trapp's seven difficult children. Having taught the children to sing and Captain Von Trapp about what it means to love and be loved, Maria helps the Von Trapp family flee to safety after the Nazi invasion of Austria. Enjoy what has been called “The world’s most popular musical” right here on your doorstep! Critics called the 2014 show “A must-see! Magical and amazing!”, a triumph!”, “an excellent production that will enchant yet another generation”, and “a glorious production!” – don’t miss it! Enjoy the magnificent Joburg summer weather on our Piazza by booking a table at one of our renowned restaurants before the show! Children can run in the fountains and grown-ups can enjoy delicious pre-show cocktails – click here to select a restaurant.